This week, Virginia State Health Commissioner Dr. Marissa J. Levine declared the opioid addiction epidemic a public health emergency and issued an order allowing all Virginians to obtain Naloxone, which counteracts an opioid overdose. Last year, Rep. Barbara Comstock (R-VA-10) got together with Loudoun law enforcement to launch a Heroin Operations Team to battle the crisis. And in 2014, for the first time in Virginia, more people died from opioid overdoses than fatal car accidents. 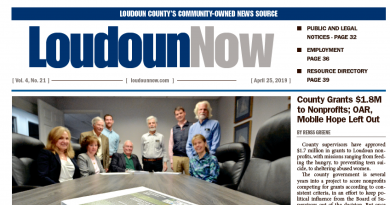 In the face of a towering drug addiction crisis, leaders in Loudoun County government and courts are giving serious thought to bringing back Loudoun’s drug court. From 2004 to 2012, some drug offenders got a chance to avoid jail time after violating probation by going instead to a special drug treatment court program. That diversion program was an intensive, outpatient process for treating addiction, with cooperation from county government, law enforcement, probation officers, the judiciary, the Commonwealth’s Attorney’s Office, social services, and mental health professionals. Offenders could choose intensive supervision and mandatory treatment instead of jail, and if they fell off the wagon again, they could wind up back behind bars. But in 2012, supervisors decided they weren’t getting their money’s worth and pulled funding for the program. A third-party cost-benefit analysis of the program had trouble coming up with definitive numbers, but noted the county paid more per participant than other jurisdictions running similar programs. Tight restrictions on who was eligible for the drug court meant that comparatively few people went through the program—20 in a year at most. 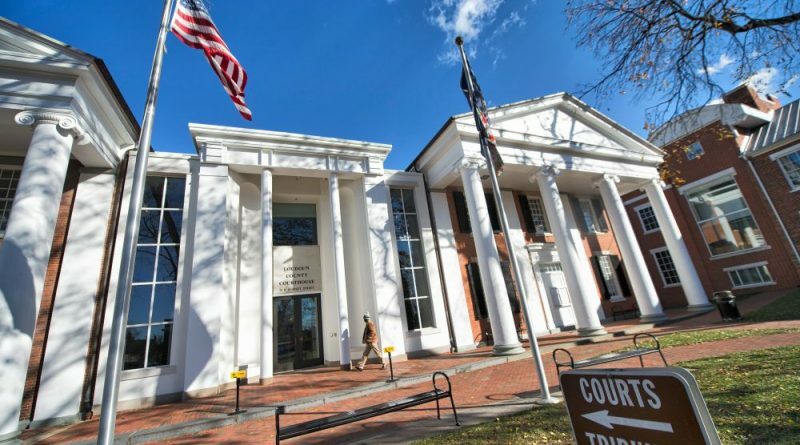 For one thing, offenders who sold drugs were excluded—but Loudoun Circuit Court Presiding Judge Burke F. McCahill said most drug addicts sell some amount to support their habits. And County Chairwoman Phyllis J. Randall (D-At Large)—a career mental health and substance abuse professional who chairs the State Board of Corrections—said she, too, would have voted down the previous drug court program, which predated her tenure on the Board of Supervisors. By the time a person wound up in Loudoun’s drug court, Randall said, they were deep in the grip of addiction. But drug court is an expensive program, and it requires unanimous buy-in from all the agencies that take part. But Randall says it’s cheaper than jailing addicts. And she said the cost of jailing a person—at least $30,000 a year—doesn’t capture the total cost to the community. But Plowman said it’s not a simple case of drug court or jail. But Plowman wouldn’t say that he opposes a drug court—only that there are a lot of pieces to work out, from deciding who can enter, to how to run the court, to paying for it. Chapman said the sheriff’s part of the program was funded in the past with a continuing grant, and the department would look for more grant funding if the drug court is resurrected. But he said he would support the drug court either way. Anything that can get people off drugs, he said, is a positive step. “It’s certainly worth trying again, and I would be committed to making it work,” Chapman said. First, why are these drugs even illegal? They should be taxed and the tax proceeds used to fund addiction programs. It’s a complete waste to put these folks in jail. Second, it’s not a surprise that CA Jim Plowman would oppose a more effective option to jailing low-level drug possession offenders. He tried to put an assistant principal in jail for handling sexting between students in high school. Yet, when it’s one of their own, Plowman refused to prosecute Joy Maloney for trespassing on school grounds or LCSB Chairman Hornberger for violating the Virginia Conflict of Interest laws. And Plowman even illegally censors criticism against him. Too bad for him, an honest judge in federal court will be handing out a verdict on Dec 15. We spend money on adult education, maintenance of the jails, and paying for CA Plowman’s legal defense when he violates the US Constitution. Why shouldn’t we try to help out some folks who have lost their way (often when they became hooked while taking prescription drugs for a medical issue)? These are not folks who violated somebody else’s rights. Maybe we can take some of that $3M/yr public relations budget that helps Chair Phyllis Randall to “look good” and use it to help these addicts out.